Cradle-to-Cradle, Recyclability, Sustainability and reclamation have historically been low priorities in design considerations. The biggest obstacle to these goals is dissimilar materials in the same product. Just as form follows function, selection of raw materials teamed up to do a job is determined by the properties raw materials can deliver. 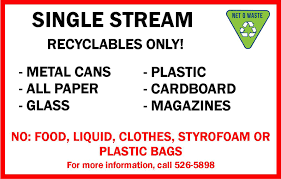 Recycle Across America correctly attributes the recycling collapse and crisis to contamination. 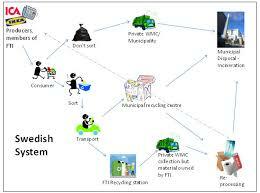 "... the collapse of recycling is primarily due to high contamination levels in the recycling stream. 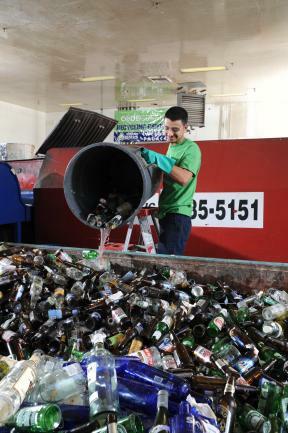 Contamination cripples the economics of recycling. The process to remove contamination reduces profitability, driving up the cost of recyclables, thereby preventing many manufacturers from reusing recycled materials. As a result, they continue to deplete finite resources at alarming levels." Note how economic sustainability dovetails with environmental sustainability. 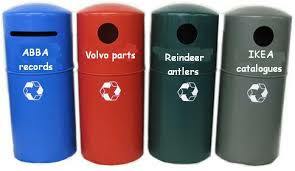 The recycling business is tough at best because prices drop when there are more recycled materials are on the market. There is not enough margin to absorb the additional cost of sorting. recycle for practical purposes. If a product contains more than one polymer, it should be labeled a resin identification code ( or RIC for short ) symbol 7. Sweden has it down to a fine art. They claim only 4% of their discards end up in the landfill. So just make the product out of the same resin. Simple solution, right ? Often the resolution to a problem is meeting halfway. This mailing envelope solves the debate over paper or plastic. 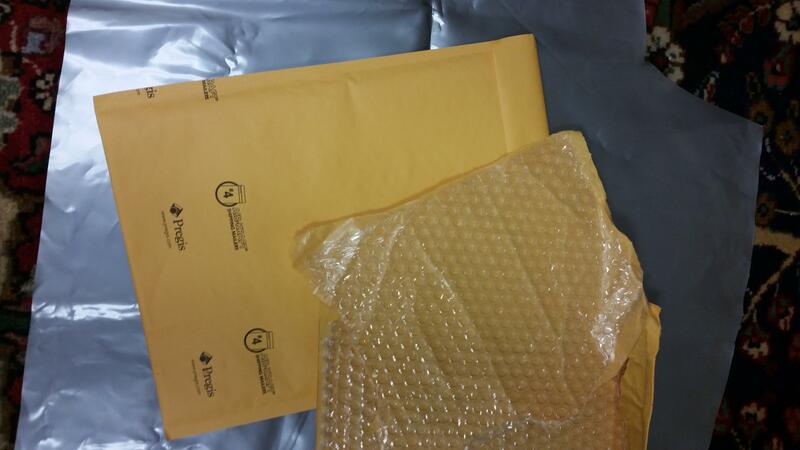 Instead of an all polyethylene #4 recyclable envelope, it is made from both polyethylene bubble pack and kraft paper. Proponents of plastic often ask why cut down a new tree when you can use an old dinosaur ? The rejoinder is usually "you're still usin' fossil fuels, man". This brilliant example of an unrecyclable #7 satisfies all demographics. Proof that it satisfies the demands of the consumer for green products is it's ubiquitous presence in UPS stores. 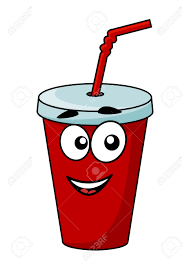 A cotidien example of several resins in one product is a soft drink cup with a straw and lid. It has three different polymers with three different job descriptions: The stiff and pliable straw is polypropylene, the rigid lid is polystyrene and the paper is coated with low density polyethylene. One resin is not versatile enough to do all three jobs. At Sustpack2016, the common threads of marathon presentations by large companies were source reduction and landfill reduction. They have all made great initial strides mainly through reduction of corrugated packaging. Just my opinion - it will be more difficult to maintain the same rate of progress after another few years. 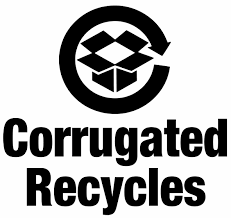 Corrugated recycles allright. It also cuts down trees and uses oodles of fossil fuels. Chemical runoff is minimal compared to decades ago. Consumers feel best about recycled content to assuage their irrational conditioned consumer guilt. Using less, or source reduction, is the most incontrovertible way to go green. But it's too abstract and not fungible. It's an issue for not just the flexible packaging industry. The green building culture is scrutinizing materials with emphasis on cradle-to-cradle. 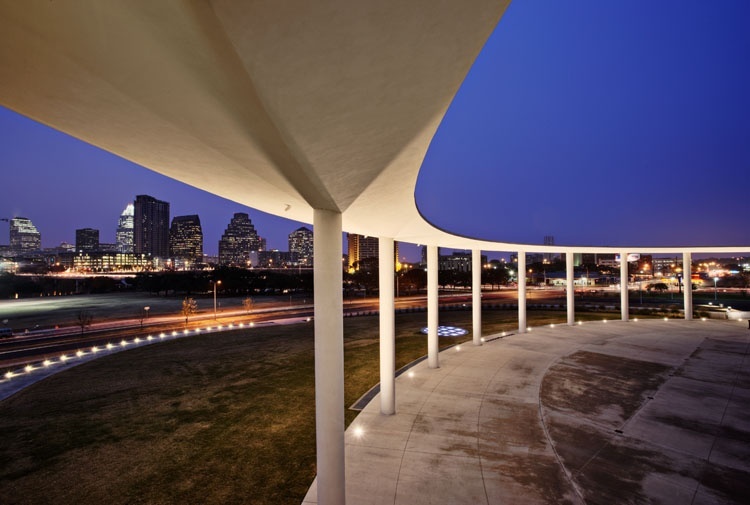 There are several recent success stories such as the Long Center for performing arts in Austin, TX. This is not new. Humans have been recycling construction materials for millenia with an efficiency motive. Construction waste is one of the major contributors to landfill, but that's another conversation. Here is a great infographic about recycling across the globe and in recent U S history. 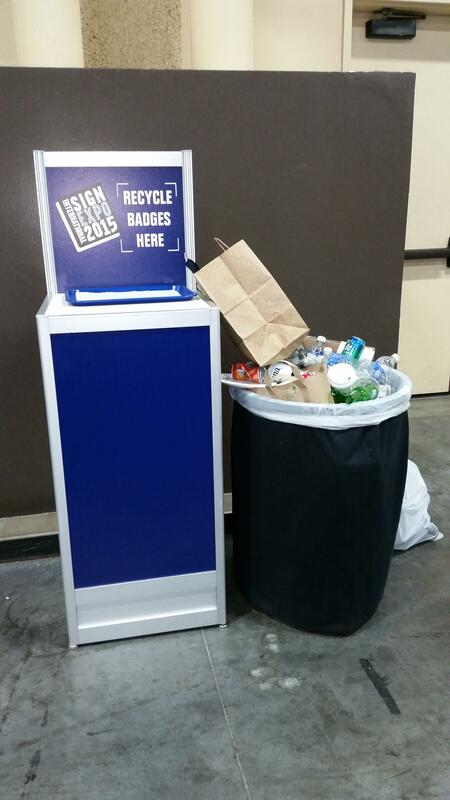 Like everybody, the meeting and convention industry is under pressure to show they are going green. Recently, it has become common practice to place a recycling dumpster next to the dumpster for non-recyclables. What the convention industry used to pitch is turning out to be a massive trove of raw materials. Here's the bargain: the recycler gets the cast-offs for free. His cost of goods is the cost of hauling and sorting. carpet ). For example - Freeman the industry leader, has at any given moment 300,000 square yards of carpet in a cook's pot being cleaned and recycled. The trend is toward nonwoven single-use polypropylene #5 used one time and sent to the recycler. There will be a tipping point if the price drops to where the cost is less than transport + cleaning + transport again. food contact and medical after repolymerization. 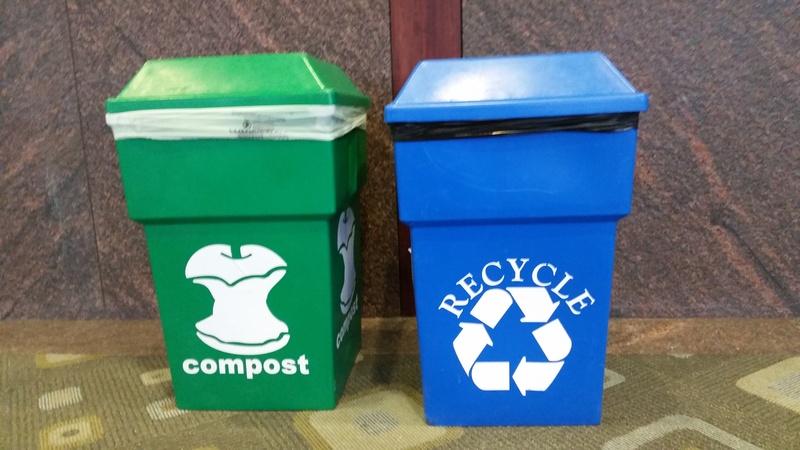 The recycling rate has dropped to 30.1 %. More than 1 in 3 water bottles are discarded despite the efforts from giants like Coca Cola to make recycling easy. Could it possibly be that consumers just aren't that concerned about the environment and only pay lip service ? It's more fun to blame and vilify evil corporations. For more information on the 7 basic commodity resin identification codes, watch this short video.